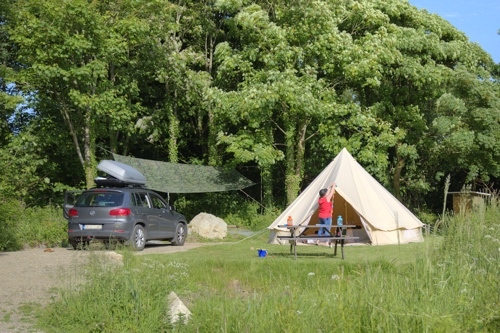 Campfires, FREE firewood, just 6 camp pitches and 5 beautiful glamping structures, Trellyn offers you a really special camping experience. 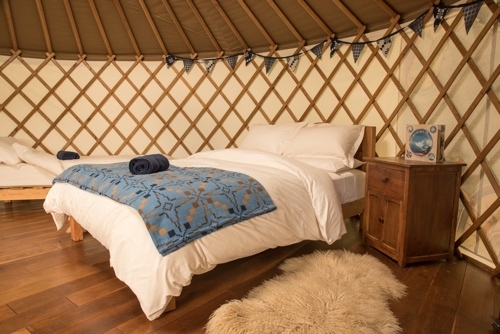 Every pitch and Glamping structure has its own covered campfire, each is set in its own bit of wilderness not overlooked by anyone yet close enough to be social if you want to. 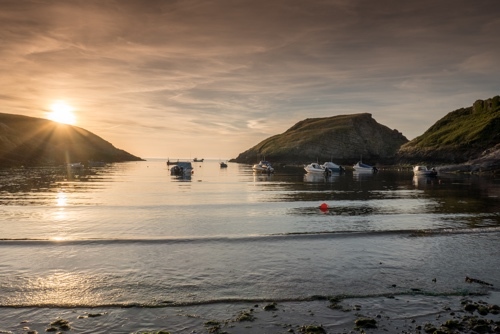 We are within easy reach of more than 10 beaches in part of the most beautiful part of Pembrokeshire. 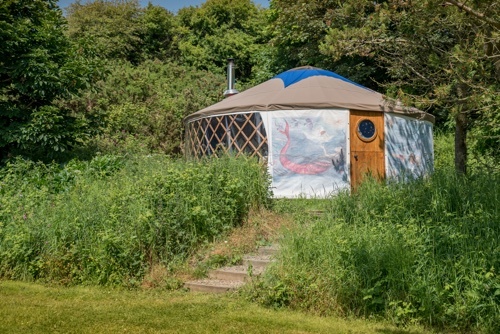 ...3 beautiful yurts and 2 domes. 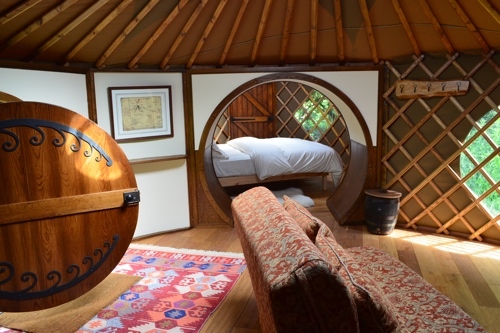 Glamping ~ the art of getting close to nature... on a real bed and in comfort. 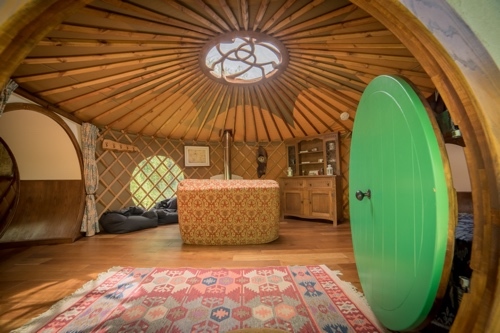 A very comfortable family camping experience indeed, in 3 amazing themed yurts. 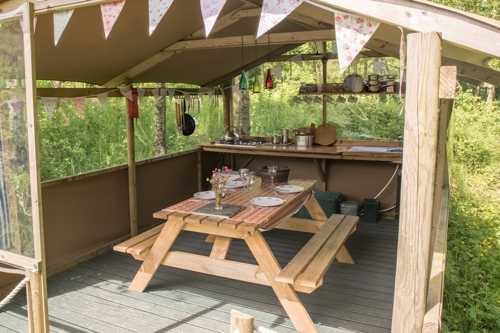 Each with its own dedicated camp kitchen and covered campfire area. So you can enjoy your fire no matter the weather. Read more..
Trellyn is perfectly placed to grab that sunset before settling down around the fire and toasting the marshmallows. The Natural inlet of Abercastle is a small harbour with rock pools and a mixed pebble- sand beach. 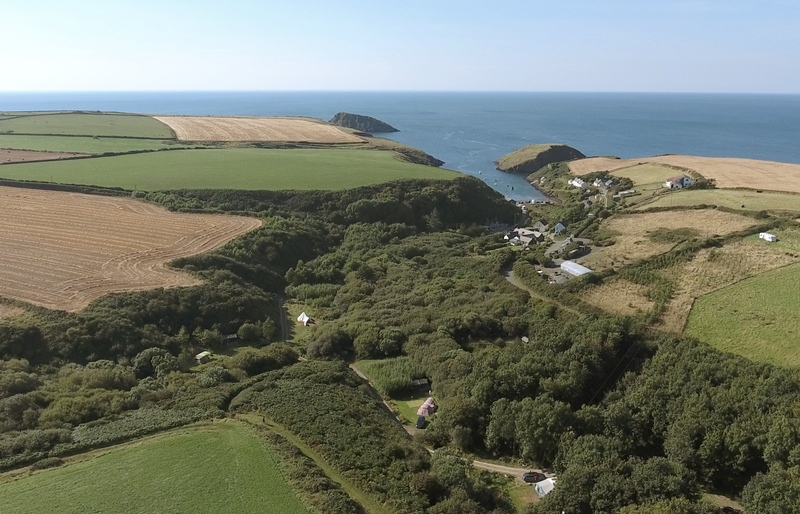 Literally only a minute from the end of the campsite means you can grab that sundowner from the top of the valley or walk to the sea to grab those amazing memories at the end of the day. Or for the more adventurous take one of our sit-on kayaks and explore some of the most spectacular wildlife and scenery that West Wales has to offer.